The Taliban and al-Qaeda no longer maintain “strategic ties” in Afghanistan despite the ongoing “limited support” provided by Taliban leaders, the Pentagon argues in its most recent assessment of the war. “Some lower- and mid-level Taliban leaders provide limited support to al-Qa’ida; however, there is no evidence of strategic ties between the two organizations, and the Taliban likely seeks to maintain distance from al-Qa’ida,” the U.S. Department of Defense (DoD) reveals in its report released last month, which covers U.S. efforts to enhance security and stability in the nation from June 1 through November 30 of last year. The few remaining al-Qa’ida core members are focused on their own survival. The remnants of the organization likely reside along the southeast Afghanistan border with Pakistan with a smaller element in isolated areas of northeast Afghanistan. 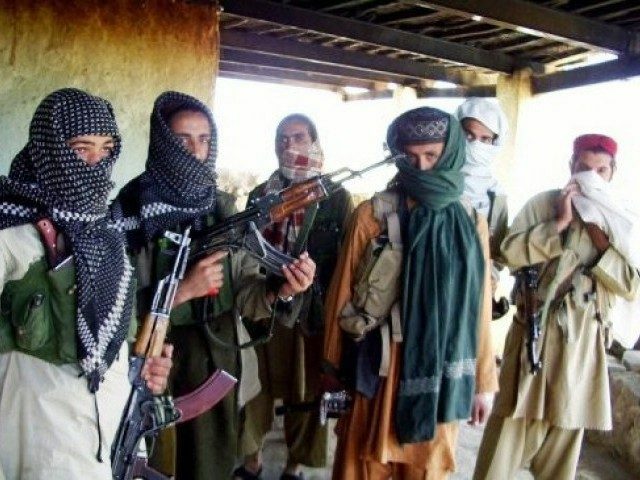 … In addition, al-Qa’ida’s regional affiliate, AQIS [al-Qaeda in the Indian Subcontinent], has a presence in south and southeast Afghanistan, and in Pakistan, and is composed primarily of militants from within the broader South Asia region. The Pentagon’s assertions contradict an August 2018 report from the United Nations, which said that the relationship between al-Qaeda and the Taliban “remains firm” nearly 17 years after the United States declared war on the jihadi allies responsible for 9/11. “Al-Qaida still maintains a presence in South Asia. It adapts to the local environment, trying to embed itself into local struggles and communities. It is closely allied with the Taliban,” the U.N. reported. Bill Roggio, an Afghanistan expert at the Long War Journal (LWJ), a component of the Foundation for Defense of Democracies (FDD) think-tank, has repeatedly noted (as early as the day the Pentagon released its assessment) that the Taliban has refused to denounce its relationship with al Qaeda and other regional and transnational terrorist groups. DOD acknowledges that Taliban narco-jihadis remain cozy with Russia, as well as neighboring Pakistan and state sponsor of terror Iran, which the U.N. believes harbors al-Qaeda leaders on its soil. “Iran provides weapons, explosives, training, financing, and political support to the Taliban to counter the U.S. and Coalition military presence, combat ISIS-K [Islamic State’s Afghan branch], and position itself as an arbiter for peace talks,” the Pentagon notes. Iran hosted the Taliban in recent days to discuss the situation in Afghanistan post-U.S. “occupation” following reports that the Trump administration is considering withdrawing half of the 14,000 American troops deployed to the country, an allegation that the White House denies. Tehran has reportedly increased support for the Taliban along its border with Afghanistan in recent months. Some experts, including Ahmad Majidyar from the Middle East Institute, have expressed concerns that Iran may use the terrorists to retaliate against American troops for the wave of sanctions the United States recently imposed on Tehran. After making reconciliation between the Taliban and the Afghan government the primary tenet of its strategy to end the more than 17-year-old war, U.S. President Donald Trump’s administration has intensified efforts to bring the terrorist group to the peace negotiating table in recent months. High-ranking U.S. military officials admitted last year that the United States would not achieve a military victory in Afghanistan, emphasizing that American troops are focused on a political settlement to end the war. The United States has a single vital national interest in Afghanistan: to prevent it from becoming a safe-haven from which terrorist groups can plan and execute attacks against the U.S. homeland, U.S. citizens, and our interests and allies abroad. Our ultimate goal in Afghanistan is a negotiated political settlement between the Afghan government and the Taliban. The presence of 20 groups, including the Islamic State (ISIS/ISIL), makes Afghanistan home to the highest concentration of terrorist organizations in the world, the Pentagon asserts.